Essential Flamenco Guitars, Guitar Sample from Prime Loops. 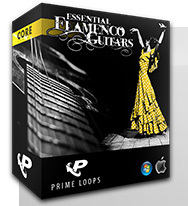 Prime Loops has released a new collection of Flamenco Guitars samples. Genres Flamenco, Acoustic, Latin, House, Trip Hop, World Music, Soundtrack, Chill Out and many more! Formats WAV, Acid Loops, Apple Loops , MPC, Live Pack & more! 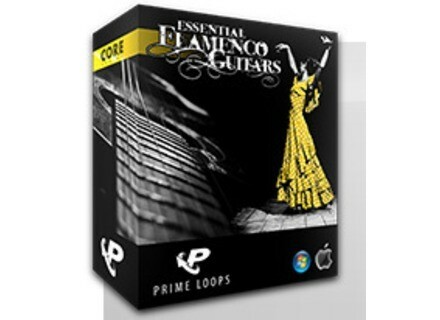 Check out www.primeloops.com/loops-samples/product/essential-flamenco-guitars~90 for more. BIAS SoundSoap 2 Berkley Integrated Audio Software ("BIAS") has announced the release of SoundSoap Pro 2 - an upgrade to the audio noise reduction and restoration software suite for Mac OS X and Windows. Cakewalk V-Studio 100 & Snow Leopard Cakewalk announcemed that they’ve introduced Snow Leopard drivers for our V-Studio 100, as well as their audio and MIDI interface units. MOTU Digital Performer 7 Digital Performer 7 is designed to let you record, edit, arrange, mix, process and master audio and MIDI tracks side by side for songwriting, studio production, live performance, film and television sound tracks, audio post production, surround mixing and other professional audio production tasks.